Elizabeth Roberts, Principal Bassoon and Director of Youth Education for the Charlottesville Symphony since 2001, joined the faculty at the University of Virginia the same year. She became a member of the Virginia Symphony Orchestra as their contrabassoonist beginning in the 2017-18 season, and has played Second Bassoon with the Williamsburg Symphony Orchestra since 2015. 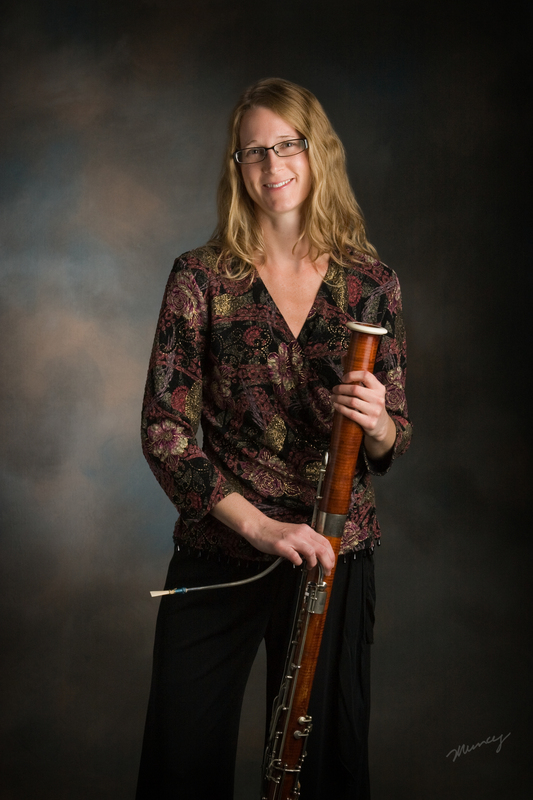 Ms. Roberts was the Visiting Assistant Professor of Bassoon at the University of Missouri for the 2013-2014 academic year. She freelances on bassoon and contrabassoon with the Philadelphia Orchestra, National Symphony Orchestra, Richmond Symphony, Washington National Opera, and Baltimore Symphony. Ms. Roberts joined the faculty of the New England Music Camp during the summer of 2017. She was a 2008 Virginia Governor’s Award for the Arts nominee, and has given world premiere performances of works by Arthur Weisberg, Bernard Rands, Barbara York, Gary Schocker, and Walter Ross. Ms. Roberts has performed as a soloist with the Charlottesville Symphony, the Roanoke Symphony, the Harid Conservatory Orchestra and the Waynesboro Orchestra, and was invited to perform as a soloist and chamber musician at the International Double Reed Society conference in 2010 (OK), 2013 (CA), 2014 (NY), and 2017 (WI). Ms. Roberts has taught bassoon, reedmaking, and chamber music in the Charlottesville, VA area since 2001, and has performed and taught at the Wintergreen Performing Arts Festival (VA), Beyond the Notes (UVA), where she served as Artistic Director, Music Mind and Reading (NC), the Cascade Festival of Music (OR) and the Coastal Youth Symphony Camp (GA), where she served as Program Director. She currently serves as the Music Advisor for Crozet Arts. Ms. Roberts earned a Bachelor of Science in Early Childhood Education from the University of Illinois, a Professional Studies Diploma and a Bachelor of Music from the Harid Conservatory, and a Master of Music from the University of Southern California, where she was elected to both Pi Kappa Lambda and USC Presidential Fellows, and received the Dean’s Special Commendation. Her principal teachers were Arthur Weisberg, Stephen Maxym, and Frank Morelli. She has pursued additional studies on bassoon with Nancy Goeres and on contrabassoon with Lew Lipnick and Holly Blake.